This blend of herbals has been available to my Clients for many years and has been kept on ‘stand-by’ in the fridge for early intervention when flu or cold viruses attack. Taken at the first onset of a cold or virus these herbs will greatly assist and quickly overtake the infection, thus shortening the time it takes to recover. In lots of cases, early intervention will ‘nip the virus in the bud’ and prevent it from attacking the body. 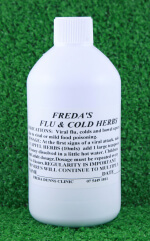 The herbal formulation contains an anti viral herb plus lots of support for the lungs. 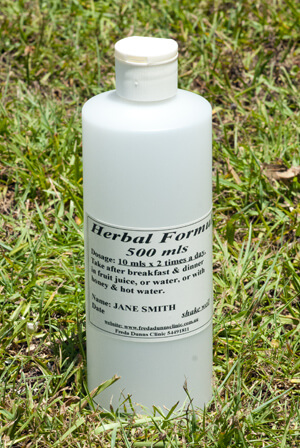 Taken as a hot drink it will reduce fevers, taken as a cold drink it will work as a lung healer. 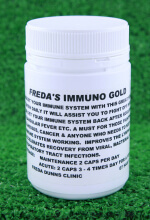 Recommended to be taken with IMMUNO GOLD for immune system support. These are the same great formulation as the Liquid Herbs but have been put into capsule form for ease of taking; travelling and when the throat is so sore you cannot swallow the liquid herbs.